Dioscorides‘s 1st century De materia medica, seen here in a c. 1334 copy in Arabic, describes some 1000 drug recipes based on over 600 plants. Plants, including many now used as culinary herbs and spices, have been used as medicines, not necessarily effectively, from prehistoric times. Spices have been used partly to counter food spoilage bacteria, especially in hot climates, and especially in meat dishes which spoil more readily. Angiosperms (flowering plants) were the original source of most plant medicines. Human settlements are often surrounded by weeds used as herbal medicines, such as nettle, dandelion and chickweed. Humans were not alone in using herbs as medicines: some animals such as non-human primates, monarch butterflies and sheep ingest medicinal plants when they are ill. Plant samples from prehistoric burial sites are among the lines of evidence that Paleolithic peoples had knowledge of herbal medicine. For instance, a 60 000-year-old Neanderthal burial site, “Shanidar IV“, in northern Iraq has yielded large amounts of pollen from 8 plant species, 7 of which are used now as herbal remedies. A mushroom was found in the personal effects of Ötzi the Iceman, whose body was frozen in the Ötztal Alps for more than 5,000 years. The mushroom was probably used against whipworm. In ancient Sumeria, hundreds of medicinal plants including myrrh and opium are listed on clay tablets. The ancient Egyptian Ebers Papyrus lists over 800 plant medicines such as aloe, cannabis, castor bean, garlic, juniper, and mandrake. From ancient times to the present, Ayurvedic medicine as documented in the Atharva Veda, the Rig Veda and the Sushruta Samhita has used hundreds of pharmacologically active herbs and spices such as turmeric, which contains curcumin. The Chinese pharmacopoeia, the Shennong Ben Cao Jing records plant medicines such as chaulmoogra for leprosy, ephedra, and hemp. This was expanded in the Tang Dynasty Yaoxing Lun. In the fourth century BC, Aristotle‘s pupil Theophrastus wrote the first systematic botany text, Historia plantarum. In around 60 AD, the Greek physician Pedanius Dioscorides, working for the Roman army, documented over 1000 recipes for medicines using over 600 medicinal plants in De materia medica. The book remained the authoritative reference on herbalism for over 1500 years, into the seventeenth century. Illustration of a 1632 copy of Avicenna‘s 1025 The Canon of Medicine, showing a physician talking to a female patient in a garden, while servants prepare medicines. In the Early Middle Ages, Benedictine monasteries preserved medical knowledge in Europe, translating and copying classical texts and maintaining herb gardens. Hildegard of Bingen wrote Causae et Curae (“Causes and Cures”) on medicine. In the Islamic Golden Age, scholars translated many classical Greek texts including Dioscorides into Arabic, adding their own commentaries. Herbalism flourished in the Islamic world, particularly in Baghdad and in Al-Andalus. Among many works on medicinal plants, Abulcasis (936–1013) of Cordoba wrote The Book of Simples, and Ibn al-Baitar (1197–1248) recorded hundreds of medicinal herbs such as Aconitum, nux vomica, and tamarind in his Corpus of Simples. Avicenna included many plants in his 1025 The Canon of Medicine. Abu-Rayhan Biruni, Ibn Zuhr, Peter of Spain, and John of St Amand wrote further pharmacopoeias. The Early Modern period saw the flourishing of illustrated herbals across Europe, starting with the 1526 Grete Herball. John Gerard wrote his famous The Herball or General History of Plants in 1597, based on Rembert Dodoens, and Nicholas Culpeper published his The English Physician Enlarged. Many new plant medicines arrived in Europe as products of Early Modern exploration and the resulting Columbian Exchange, in which livestock, crops and technologies were transferred between the Old World and the Americas in the 15th and 16th centuries. Medicinal herbs arriving in the Americas included garlic, ginger, and turmeric; coffee, tobacco and coca travelled in the other direction. In Mexico, the sixteenth century Badianus Manuscript described medicinal plants available in Central America. In modern medicine, around a quarter[a] of the drugs prescribed to patients are derived from medicinal plants, and they are rigorously tested. In other systems of medicine, medicinal plants may constitute the majority of what are often informal attempted treatments, not tested scientifically. The World Health Organization estimates, without reliable data, that some 80 percent of the world’s population depends mainly on traditional medicine (including but not limited to plants); perhaps some two billion people are largely reliant on medicinal plants. The use of plant-based materials including herbal or natural health products with supposed health benefits, is increasing in developed countries. This brings attendant risks of toxicity and other effects on human health, despite the safe image of herbal remedies. Herbal medicines have been in use since long before modern medicine existed; there was and often still is little or no knowledge of the pharmacological basis of their actions, if any, or of their safety. The World Health Organization formulated a policy on traditional medicine in 1991, and since then has published guidelines for them, with a series of monographs on widely used herbal medicines. All plants produce chemical compounds which give them an evolutionary advantage, such as defending against herbivores or, in the example of salicylic acid, as a hormone in plant defenses. These phytochemicals have potential for use as drugs, and the content and known pharmacological activity of these substances in medicinal plants is the scientific basis for their use in modern medicine, if scientifically confirmed. For instance, daffodils (Narcissus) contain nine groups of alkaloids including galantamine, licensed for use against Alzheimer’s disease. 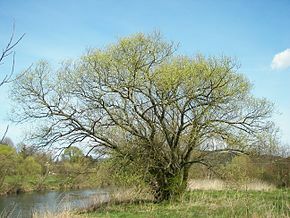 The alkaloids are bitter-tasting and toxic, and concentrated in the parts of the plant such as the stem most likely to be eaten by herbivores; they may also protect against parasites. The alkaloid nicotine from tobacco binds directly to the body’s Nicotinic acetylcholine receptors, accounting for its pharmacological effects. Plant medicines have often not been tested systematically, but have come into use informally over the centuries. By 2007, clinical trials had demonstrated potentially useful activity in nearly 16% of herbal medicines; there was limited in vitro or in vivo evidence for roughly half the medicines; there was only phytochemical evidence for around 20%; 0.5% were allergenic or toxic; and some 12% had basically never been studied scientifically. According to Cancer Research UK, “there is currently no strong evidence from studies in people that herbal remedies can treat, prevent or cure cancer”. A 2012 phylogenetic study built a family tree down to genus level using 20,000 species to compare the medicinal plants of three regions, Nepal, New Zealand and the South African Cape. It discovered that the species used traditionally to treat the same types of condition belonged to the same groups of plants in all three regions, giving a “strong phylogenetic signal”. Since many plants that yield pharmaceutical drugs belong to just these groups, and the groups were independently used in three different world regions, the results were taken to mean 1) that these plant groups do have potential for medicinal efficacy, 2) that undefined pharmacological activity is associated with use in traditional medicine, and 3) that the use of a phylogenetic groups for medicines in one region may predict their use in the other regions. Pharmacologically active plant extracts can interact with conventional drugs, both because they may provide an increased dose of similar compounds, and because some phytochemicals interfere with the body’s systems that metabolise drugs in the liver including the cytochrome P450 system, making the drugs last longer in the body and have a more powerful cumulative effect. Plant medicines can be dangerous during pregnancy. Since plants may contain many different substances, plant extracts may have complex effects on the human body. Where medicinal plants are harvested from the wild rather than cultivated, they are subject to both general and specific threats. General threats include climate change and habitat loss to development and agriculture. A specific threat is over-collection to meet rising demand for medicines. 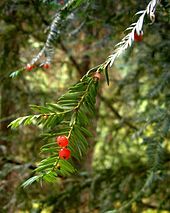 A case in point was the pressure on wild populations of the Pacific yew soon after news of taxol’s effectiveness became public. The threat from over-collection could be addressed by cultivation of some medicinal plants, or by a system of certification to make wild harvesting sustainable. ^ Berberine is the main active component of an ancient Chinese herb Coptis chinensis French, which has been administered for what Yin and colleagues state is “diabetes” for thousands of years, although with no sound evidence of efficacy. ^ Nicotine has “probably been responsible for more deaths than any other herb”, but it was used as a medicine in the societies encountered by Columbus and was considered a panacea in Europe. It is no longer accepted as medicinal. ^ Lichterman, B. L. (2004). “Aspirin: The Story of a Wonder Drug”. British Medical Journal. 329 (7479): 1408. doi:10.1136/bmj.329.7479.1408. PMC 535471. ^ a b c d e f g Ahn, K. (2017). “The worldwide trend of using botanical drugs and strategies for developing global drugs”. BMB Reports. 50 (3): 111–116. doi:10.5483/BMBRep.2017.50.3.221. PMC 5422022. PMID 27998396. ^ “Medicinal and aromatic plants trade programme”. Traffic.org. Retrieved 20 February 2017. ^ Billing, Jennifer; Sherman, P.W. (March 1998). “Antimicrobial functions of spices: why some like it hot”. Q Rev Biol. 73 (1): 3–49. doi:10.1086/420058. PMID 9586227. ^ Sherman, P.W. ; Hash, G.A. (May 2001). “Why vegetable recipes are not very spicy”. Evol Hum Behav. 22 (3): 147–163. doi:10.1016/S1090-5138(00)00068-4. PMID 11384883. ^ a b “Angiosperms: Division Magnoliophyta: General Features”. Encyclopædia Britannica (volume 13, 15th edition). 1993. p. 609. ^ Stepp, John R. (June 2004). “The role of weeds as sources of pharmaceuticals”. Journal of Ethnopharmacology. 92 (2–3): 163–166. doi:10.1016/j.jep.2004.03.002. PMID 15137997. ^ Stepp, John R.; Moerman, Daniel E. (April 2001). “The importance of weeds in ethnopharmacology”. Journal of Ethnopharmacology. 75 (1): 19–23. doi:10.1016/S0378-8741(00)00385-8. PMID 11282438. ^ Solecki, Ralph S. (November 1975). “Shanidar IV, a Neanderthal Flower Burial in Northern Iraq”. Science. 190 (4217): 880–881. Bibcode:1975Sci…190..880S. doi:10.1126/science.190.4217.880. ^ Capasso, L. (December 1998). “5300 years ago, the Ice Man used natural laxatives and antibiotics”. Lancet. 352 (9143): 1864. doi:10.1016/S0140-6736(05)79939-6. PMID 9851424. ^ Mills, Frank A. (2000). “Botany”. In Johnston, William M. Encyclopedia of Monasticism: M-Z. Taylor & Francis. p. 179. ISBN 978-1-57958-090-2. ^ Ramos-e-Silva Marcia (1999). “Saint Hildegard Von Bingen (1098–1179) “The Light Of Her People And Of Her Time““. International Journal of Dermatology. 38 (4): 315–320. doi:10.1046/j.1365-4362.1999.00617.x. ^ Castleman, Michael (2001). The New Healing Herbs. Rodale. p. 15. ISBN 978-1-57954-304-4. ; Collins, Minta (2000). Medieval Herbals: The Illustrative Traditions. University of Toronto Press. p. 115. ISBN 978-0-8020-8313-5. ; “Pharmaceutics and Alchemy”. US National Library of Medicine. Retrieved 26 January 2017. ; Fahd, Toufic. “Botany and agriculture”: 815. , in Rashed, Roshdi; Morelon, Régis (1996). Encyclopedia of the History of Arabic Science: Astronomy-Theoretical and applied, v.2 Mathematics and the physical sciences; v.3 Technology, alchemy and life sciences. Routledge. ISBN 978-0-415-02063-3. ^ Jacquart, Danielle (2008). “Islamic Pharmacology in the Middle Ages: Theories and Substances”. European Review. 16 (2): 219–227 . doi:10.1017/S1062798708000215. ^ Kujundzić, E.; Masić, I. (1999). “[Al-Biruni–a universal scientist]”. Med. Arh. (in Croatian). 53 (2): 117–120. PMID 10386051. ^ Krek, M. (1979). “The Enigma of the First Arabic Book Printed from Movable Type”. Journal of Near Eastern Studies. 38 (3): 203–212. doi:10.1086/372742. ^ a b Singer, Charles (1923). “Herbals”. The Edinburgh Review. 237: 95–112. ^ Nunn, Nathan; Qian, Nancy (2010). “The Columbian Exchange: A History of Disease, Food, and Ideas”. Journal of Economic Perspectives. 24 (2): 163–188. CiteSeerX 10.1.1.232.9242. doi:10.1257/jep.24.2.163. JSTOR 25703506. ^ Heywood, Vernon H. (2012). “The role of New World biodiversity in the transformation of Mediterranean landscapes and culture” (PDF). Bocconea. 24: 69–93. ^ Gimmel Millie (2008). “Reading Medicine In The Codex De La Cruz Badiano”. Journal of the History of Ideas. 69 (2): 169–192. doi:10.1353/jhi.2008.0017. ^ a b c d Smith-Hall, C.; Larsen, H.O. ; Pouliot, M. (2012). “People, plants and health: a conceptual framework for assessing changes in medicinal plant consumption”. J Ethnobiol Ethnomed. 8: 43. doi:10.1186/1746-4269-8-43. PMC 3549945. PMID 23148504. ^ Schippmann, Uwe; Leaman, Danna J.; Cunningham, A. B. (12 October 2002). “Impact of Cultivation and Gathering of Medicinal Plants on Biodiversity: Global Trends and Issues 2. Some Figures to start with …” Biodiversity and the Ecosystem Approach in Agriculture, Forestry and Fisheries. Satellite event on the occasion of the Ninth Regular Session of the Commission on Genetic Resources for Food and Agriculture. Rome, 12–13 October 2002. Inter-Departmental Working Group on Biological Diversity for Food and Agriculture. Rome. Food and Agriculture Organization. Retrieved 25 September 2017. ^ “State of the World’s Plants Report – 2016” (PDF). Royal Botanic Gardens, Kew. 2016. Retrieved 25 September 2017. ^ a b c Farnsworth, Norman R.; Akerele, Olayiwola; Bingel, Audrey S.; Soejarto, Djada D.; Guo, Zhengang (1985). “Medicinal plants in therapy”. Bulletin of the World Health Organization. 63 (6): 965–981. ^ Tilburt, Jon C.; Kaptchuk, Ted J. (August 2008). “Herbal medicine research and global health: an ethical analysis”. Bulletin of the World Health Organization. 86 (8): 577–656. Retrieved 22 September 2017. ^ a b Ekor, Martins (2013). “The growing use of herbal medicines: issues relating to adverse reactions and challenges in monitoring safety”. Frontiers in Pharmacology. 4 (3): 202–4. doi:10.3389/fphar.2013.00177. PMC 3887317. PMID 3887317. ^ a b c Cravotto G.; Boffa L.; Genzini L.; Garella D. (February 2010). “Phytotherapeutics: an evaluation of the potential of 1000 plants”. J Clin Pharm Ther. 35 (1): 11–48. doi:10.1111/j.1365-2710.2009.01096.x. PMID 20175810. ^ a b c d e “Active Plant Ingredients Used for Medicinal Purposes”. United States Department of Agriculture. Retrieved 18 February 2017. Below are several examples of active plant ingredients that provide medicinal plant uses for humans. ^ Bastida, Jaume; Lavilla, Rodolfo; Viladomat, Francesc Viladomat (2006). Cordell, G. A., ed. Chemical and biological aspects of “Narcissus” alkaloids. The Alkaloids: Chemistry and Biology. 63. pp. 87–179. doi:10.1016/S1099-4831(06)63003-4. ISBN 9780124695634. Retrieved 17 March 2018. ^ “Galantamine”. Drugs.com. 2017. Retrieved 17 March 2018. ^ Birks, J. (2006). “Cholinesterase inhibitors for Alzheimer’s disease”. The Cochrane Database of Systematic Reviews (1): CD005593. doi:10.1002/14651858.CD005593. PMID 16437532. ^ Soejarto, D. D. (1 March 2011). “Transcriptome Characterization, Sequencing, And Assembly Of Medicinal Plants Relevant To Human Health”. University of Illinois at Chicago. Retrieved 26 January 2017. ^ a b c d e f Elumalai, A.; Eswariah, M. Chinna (2012). “Herbalism – A Review” (PDF). International Journal of Phytotherapy. 2 (2): 96–105. ^ a b “Atropa Belladonna” (PDF). The European Agency for the Evaluation of Medicinal Products. 1998. Retrieved 26 February 2017. ^ Yin, Jun; Xing, Huili; Ye, Jianping (May 2008). “Efficacy of Berberine in Patients with Type 2 Diabetes”. Metabolism. 57 (5): 712–717. doi:10.1016/j.metabol.2008.01.013. PMC 2410097. PMID 18442638. ^ Charlton, Anne (June 2004). “Medicinal uses of tobacco in history”. Journal of the Royal Society of Medicine. 97 (6): 292–296. doi:10.1258/jrsm.97.6.292. PMC 1079499. PMID 15173337. ^ Gremigni, P.; et al. (2003). “The interaction of phosphorus and potassium with seed alkaloid concentrations, yield and mineral content in narrow-leafed lupin (Lupinus angustifolius L.)”. Plant and Soil. 253 (2): 413–427. doi:10.1023/A:1024828131581. JSTOR 24121197. ^ “Nicotinic acetylcholine receptors: Introduction”. IUPHAR Database. International Union of Basic and Clinical Pharmacology. Retrieved 26 February 2017. ^ “Anthraquinone glycosides”. ScienceDirect. Elsevier. 2017. Retrieved 26 September 2017. ^ a b Hietala, P.; Marvola, M.; Parviainen, T.; Lainonen, H. (August 1987). “Laxative potency and acute toxicity of some anthraquinone derivatives, senna extracts and fractions of senna extracts”. Pharmacology & Toxicology. 61 (2): 153–6. doi:10.1111/j.1600-0773.1987.tb01794.x. PMID 3671329. ^ Akolkar, Praful (2012-12-27). “Pharmacognosy of Rhubarb”. PharmaXChange.info. ^ “Digitalis purpurea. Cardiac Glycoside”. Texas A&M University. Retrieved 26 February 2017. The man credited with the introduction of digitalis into the practice of medicine was William Withering. ^ Da Silva, Cecilia; et al. (2013). “The High Polyphenol Content of Grapevine Cultivar Tannat Berries Is Conferred Primarily by Genes That Are Not Shared with the Reference Genome”. The Plant Cell. 25 (12): 4777–4788. doi:10.1105/tpc.113.118810. JSTOR 43190600. PMC 3903987. PMID 24319081. ^ Albert-Puleo, M. (Dec 1980). “Fennel and anise as estrogenic agents”. Journal of Ethnopharmacology. 2 (4): 337–44. doi:10.1016/S0378-8741(80)81015-4. PMID 6999244. ^ European Food Safety Authority (2010). “Scientific Opinion on the substantiation of health claims related to various food(s)/food constituent(s) and protection of cells from premature aging, antioxidant activity, antioxidant content and antioxidant properties, and protection of DNA, proteins and lipids from oxidative damage pursuant to Article 13(1) of Regulation (EC) No 1924/20061”. EFSA Journal. 8 (2): 1489. doi:10.2903/j.efsa.2010.1489. ^ Tchen, T. T. (1965). “Reviewed Work: The Biosynthesis of Steroids, Terpenes & Acetogenins“. American Scientist. 53 (4): 499A–500A. JSTOR 27836252. ^ Singsaas, Eric L. (2000). “Terpenes and the Thermotolerance of Photosynthesis”. New Phytologist. 146 (1): 1–2. doi:10.1046/j.1469-8137.2000.00626.x. JSTOR 2588737. ^ a b c “Thymol (CID=6989)”. NIH. Retrieved 26 February 2017. THYMOL is a phenol obtained from thyme oil or other volatile oils used as a stabilizer in pharmaceutical preparations, and as an antiseptic (antibacterial or antifungal) agent. It was formerly used as a vermifuge. ^ “WHO Guidelines on Good Agricultural and Collection Practices (GACP) for Medicinal Plants”. World Health Organization. 2003. Retrieved 26 February 2017. ^ Carrubba, A.; Scalenghe, R. (2012). “Scent of Mare Nostrum ― Medicinal and Aromatic Plants (MAPs) in Mediterranean soils”. Journal of the Science of Food and Agriculture. 92 (6): 1150–1170. doi:10.1002/jsfa.5630. PMID 22419102. ^ Dharmananda, Subhuti (May 1997). “The Methods of Preparation of Herb Formulas: Decoctions, Dried Decoctions, Powders, Pills, Tablets, and Tinctures”. Institute of Traditional Medicine, Portland, Oregon. ^ Mount, Toni (20 April 2015). “9 weird medieval medicines”. British Broadcasting Corporation. ^ Pezzuto, John M. (January 1997). “Plant-derived anticancer agents”. Biochemical Pharmacology. 53 (2): 121–133. doi:10.1016/S0006-2952(96)00654-5. ^ “Traditional Medicine. Fact Sheet No. 134”. World Health Organization. May 2003. Archived from the original on 28 July 2008. Retrieved 26 February 2017. ^ a b Chan, Margaret (19 August 2015). “WHO Director-General addresses traditional medicine forum”. WHO. ^ “Traditional Chinese Medicine: In Depth (D428)”. NIH. April 2009. Retrieved 26 February 2017. ^ Giovannini, Peter. “Managing diabetes with medicinal plants”. Kew Gardens. Retrieved 3 October 2017. ^ Giovannini, Peter; Howes, Melanie-Jayne R.; Edwards, Sarah E. (2016). “Medicinal plants used in the traditional management of diabetes and its sequelae in Central America: A review”. Journal of Ethnopharmacology. 184: 58–71. doi:10.1016/j.jep.2016.02.034. ISSN 0378-8741. PMID 26924564. ^ Milliken, William (2015). “Medicinal knowledge in the Amazon”. Kew Gardens. ^ “Scoring drugs. A new study suggests alcohol is more harmful than heroin or crack”. The Economist. 2 November 2010. Retrieved 26 February 2017. “Drug harms in the UK: a multi-criteria decision analysis”, by David Nutt, Leslie King and Lawrence Phillips, on behalf of the Independent Scientific Committee on Drugs. The Lancet. ^ “Herbal medicine”. Cancer Research UK. Retrieved 26 January 2017. ^ a b Saslis-Lagoudakis, C. H.; Savolainen, V.; Williamson, E. M.; Forest, F.; Wagstaff, S. J.; Baral, S. R.; Watson, M. F.; Pendry, C. A.; Hawkins, J. A. (2012). “Phylogenies reveal predictive power of traditional medicine in bioprospecting”. Proceedings of the National Academy of Sciences. 109 (39): 15835–15840. Bibcode:2012PNAS..10915835S. doi:10.1073/pnas.1202242109. ISSN 0027-8424. PMC 3465383. PMID 22984175. ^ “International Regulatory Cooperation for Herbal Medicines (IRCH)”. World Health Organization. Retrieved 2 October 2017. ^ Kala, Chandra Prakash; Sajwan (2007). “Revitalizing Indian systems of herbal medicine by the National Medicinal Plants Board through institutional networking and capacity building”. Current Science. 93 (6): 797–806. ^ “Emergence of Pharmaceutical Science and Industry: 1870-1930”. Chemical & Engineering News (Vol. 83, Issue 25). 20 June 2005. ^ Heinrich, M.; Bremner, P. (March 2006). “Ethnobotany and ethnopharmacy–their role for anti-cancer drug development”. Current Drug Targets. 7 (3): 239–245. doi:10.2174/138945006776054988. PMID 16515525. ^ Moudi, Maryam; Go, Rusea; Yien, Christina Yong Seok; Nazre, Mohd. (November 2013). “Vinca Alkaloids”. International Journal of Preventive Medicine. 4 (11): 1231–1235. PMC 3883245. PMID 3883245. ^ Baell, Jonathan; Walters, Michael A. (24 September 2014). “Chemistry: Chemical con artists foil drug discovery”. Nature. 513 (7519): 481–483. Bibcode:2014Natur.513..481B. doi:10.1038/513481a. PMID 25254460. ^ Newman, D. J.; Cragg, G. M. (23 March 2012). “Natural products as sources of new drugs over the 30 years from 1981 to 2010”. Journal of Natural Products. 75 (3): 311–335. doi:10.1021/np200906s. PMC 3721181. PMID 22316239. ^ Freye, Enno (2010). 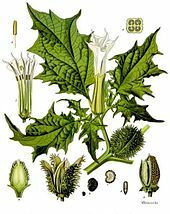 “Toxicity of Datura Stramonium”. Pharmacology and Abuse of Cocaine, Amphetamines, Ecstasy and Related Designer Drugs. Springer. pp. 217–218. doi:10.1007/978-90-481-2448-0_34. ISBN 978-90-481-2447-3. ^ Ernst, E. (1998). “Harmless Herbs? A Review of the Recent Literature” (PDF). The American Journal of Medicine. 104 (2): 170–178. doi:10.1016/S0002-9343(97)00397-5. PMID 9528737. ^ Talalay, P. (2001). “The importance of using scientific principles in the development of medicinal agents from plants”. Academic Medicine. 76 (3): 238–47. doi:10.1097/00001888-200103000-00010. PMID 11242573. ^ Elvin-Lewis, M. (2001). “Should we be concerned about herbal remedies”. Journal of Ethnopharmacology. 75 (2–3): 141–164. doi:10.1016/S0378-8741(00)00394-9. PMID 11297844. ^ Vickers, A. J. (2007). “Which botanicals or other unconventional anticancer agents should we take to clinical trial?”. J Soc Integr Oncol. 5 (3): 125–9. doi:10.2310/7200.2007.011. PMC 2590766. PMID 17761132. ^ Pinn, G. (November 2001). “Adverse effects associated with herbal medicine”. Aust Fam Physician. 30 (11): 1070–5. PMID 11759460. ^ Nekvindová, J.; Anzenbacher, P. (July 2007). “Interactions of food and dietary supplements with drug metabolising cytochrome P450 enzymes”. Ceska Slov Farm. 56 (4): 165–73. PMID 17969314. ^ Born, D.; Barron, ML (May 2005). “Herb use in pregnancy: what nurses should know”. MCN Am J Matern Child Nurs. 30 (3): 201–6. doi:10.1097/00005721-200505000-00009. PMID 15867682. ^ Barrett, Stephen (23 November 2013). “The herbal minefield”. Quackwatch. ^ Zhang, J.; Wider, B.; Shang, H.; Li, X.; Ernst, E. (2012). “Quality of herbal medicines: Challenges and solutions”. Complementary Therapies in Medicine. 20 (1–2): 100–106. doi:10.1016/j.ctim.2011.09.004. PMID 22305255. ^ Morris, C. A.; Avorn, J. (2003). “Internet marketing of herbal products”. JAMA. 290 (11): 1505–9. doi:10.1001/jama.290.11.1505. PMID 13129992. ^ Coghlan, M. L.; Haile, J.; Houston, J.; Murray, D. C.; White, N. E.; Moolhuijzen, P; Bellgard, M. I.; Bunce, M (2012). “Deep Sequencing of Plant and Animal DNA Contained within Traditional Chinese Medicines Reveals Legality Issues and Health Safety Concerns”. PLoS Genetics. 8 (4): e1002657. doi:10.1371/journal.pgen.1002657. PMC 3325194. PMID 22511890. ^ Newmaster, S. G.; Grguric, M.; Shanmughanandhan, D.; Ramalingam, S.; Ragupathy, S. (2013). “DNA barcoding detects contamination and substitution in North American herbal products”. BMC Medicine. 11: 222. doi:10.1186/1741-7015-11-222. PMC 3851815. PMID 24120035. ^ O’Connor, Anahad (5 November 2013). “Herbal Supplements Are Often Not What They Seem”. The New York Times. ^ a b Kling, Jim (2016). “Protecting medicine’s wild pharmacy”. Nature Plants. 2 (5): 16064. doi:10.1038/nplants.2016.64. PMID 27243657. Aronson, Jeffrey K. (2008). Meyler’s Side Effects of Herbal Medicines. Elsevier. ISBN 978-0-08-093290-3. Petrovska, Biljana Bauer (2012). “Historical review of medicinal plants’ usage”. Pharmacognosy Reviews. 6 (11): 150–7. doi:10.4103/0973-7847.95849. PMC 3358962. PMID 3358962.